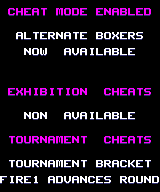 Press on the title screen. The notification on the right scrolls past. Press on the title screen. The details on the right scroll past.